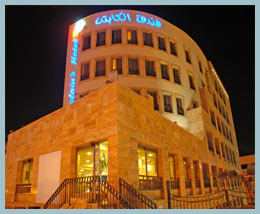 CAPTAIN’S HOTEL is the one and only boutique hotel in aqaba. It offers 65 deluxe, spacious rooms and suites, stylishly decorated, with every convenience for today’s traveler. since 2007 opened, and superbly located in the heart of Aqaba, the Captain’s Hotel is the hotel of choice for travelers searching for a genuine boutique experience, for both leisure and business travel.